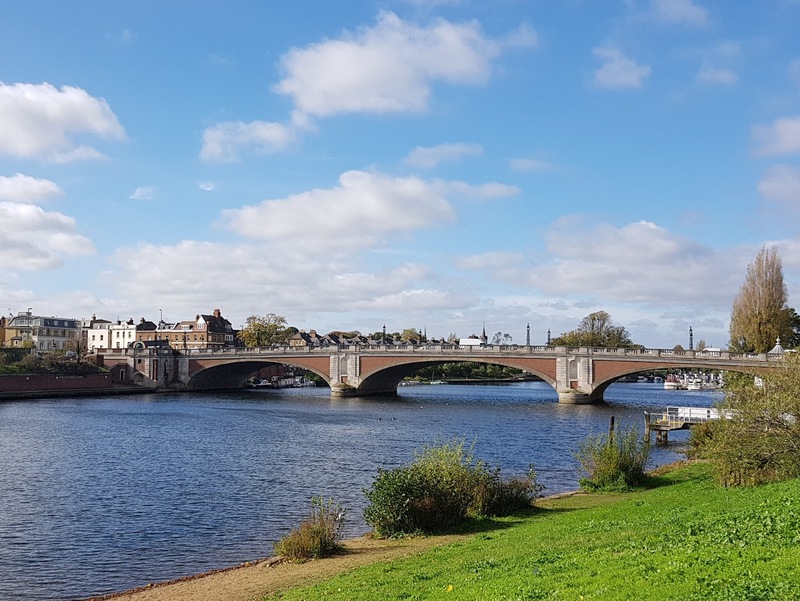 A few weeks ago we had a lovely relaxing break visiting Kingston Upon Thames and nearby town Richmond. We had such a nice couple of days walking around and we were so lucky with the weather! 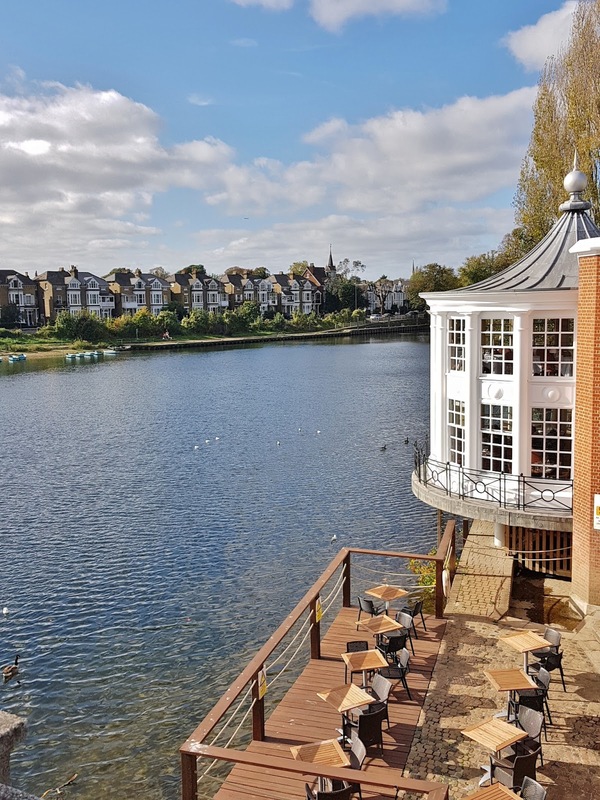 We stayed at the four star Mitre Hotel in East Molesey which is next to the River Thames and also right opposite Hampton Court Palace. The location of the hotel was perfect for us to go out exploring. We arrived early so before we could check in we wandered around East Molesey which included visiting the Hampton Court grounds and pretty gardens which I imagine bloom beautifully in the spring. We also strolled along the River Thames which goes right alongside the hotel itself, and then stopped off at a local pub for a bit of lunch. It’s a really gorgeous area and the little high street was so quaint! The hotel is in an old historic building which was built in 1665 and is currently undergoing some refurbishment work as the decor is a little tired. 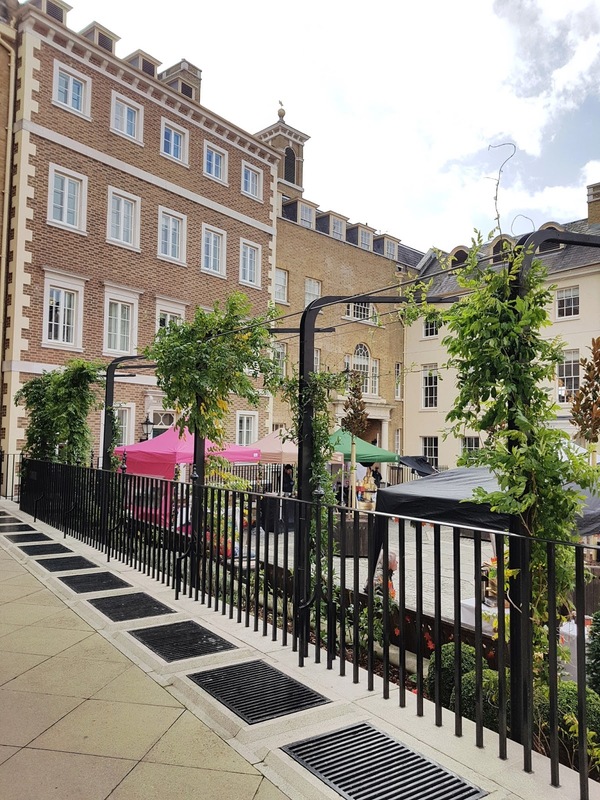 Our room was booked as an ‘exclusive’ room which is described as having views of either Hampton Court Palace or the River Thames however unfortunately our room did not, but instead had a view into an internal courtyard. 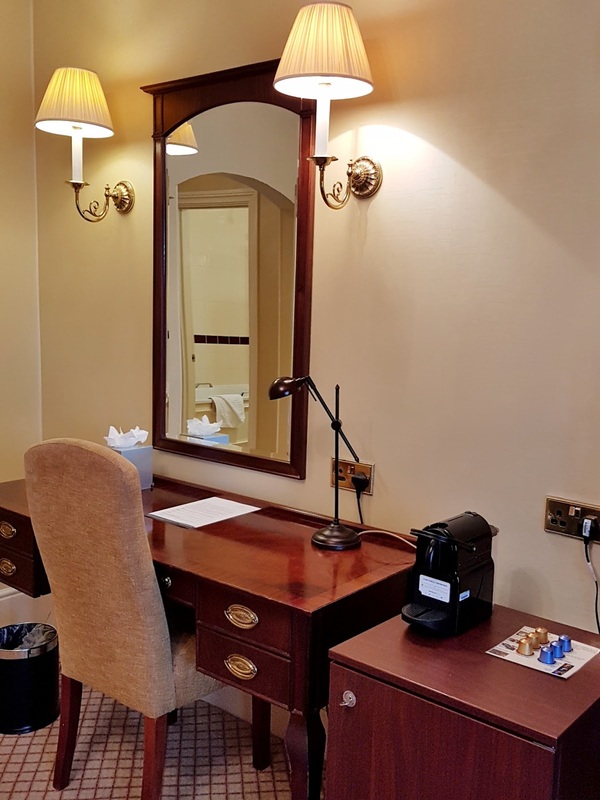 If you’re into modern, sleek design, this may not be the hotel for you as the bathroom needed quite a bit of work and the bedroom was quite old fashioned, but you have to bear in mind that it is an old building so it’s expected. However the room did come with a large TV, espresso machine, and free wi-fi so it did have some mod-cons! The room was clean and the bed was comfortable (although it was two singles pushed together rather than a double). I would probably say that the location of the hotel is the main feature as it’s in such a perfect place for exploring the area. We got the bus into Kingston Upon Thames in the evening which was so easy as the bus stop is just down the street and the bus service is very regular. We had a little walk around the town and down by the river and then stopped for a steak dinner and dessert at Browns. 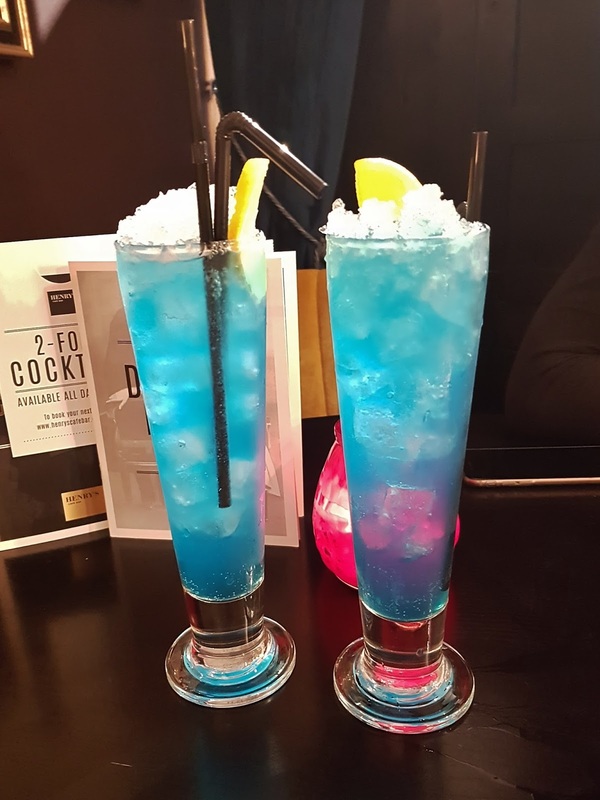 We also found a lovely little cocktail bar down a small street which was running happy hour! Kingston is a beautiful town and I would definitely recommend it if you like a bit of shopping! 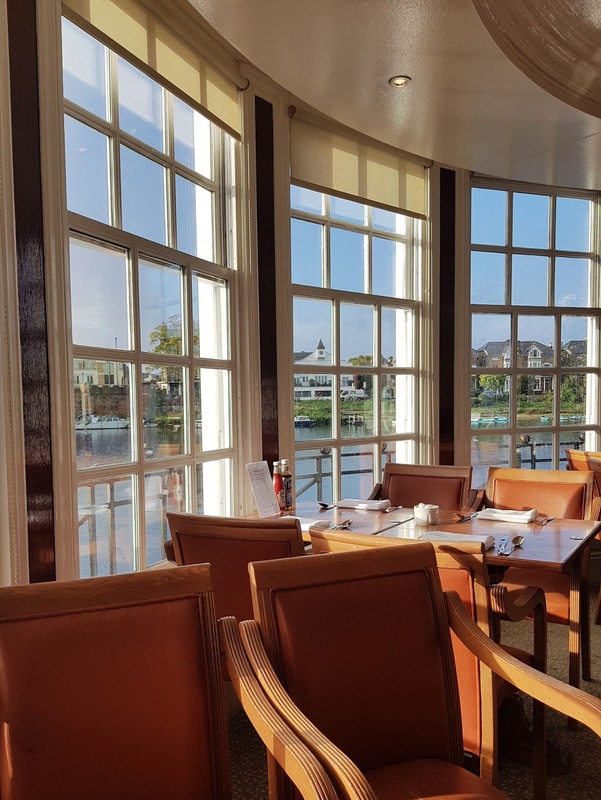 After a lovely nights sleep at The Mitre Hotel we went for breakfast in their stunning Riverside restaurant which has beautiful panoramic views of the River Thames. I really enjoyed just sitting by the window which hangs over the water and watching the boats pass. 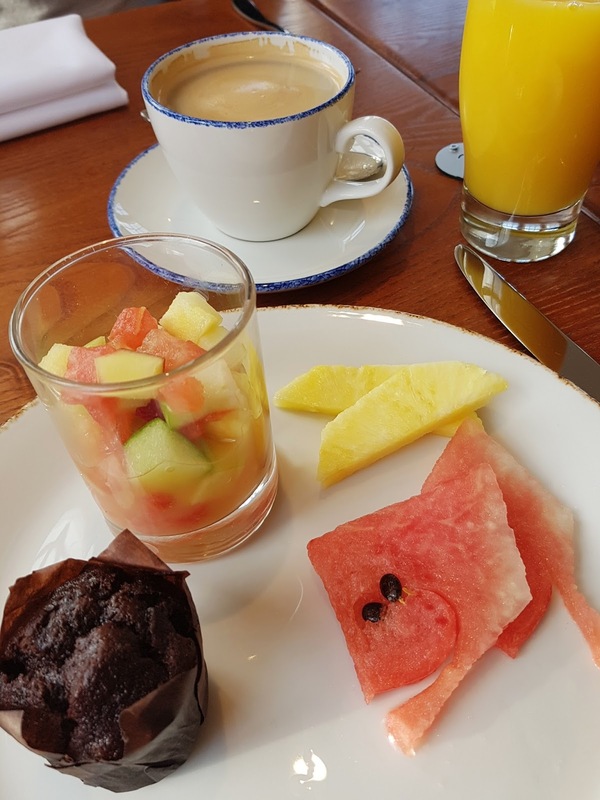 It was such a nice sunny morning too so it was a lovely start to the day, and I was very pleased to be served a yummy freshly squeezed orange juice. 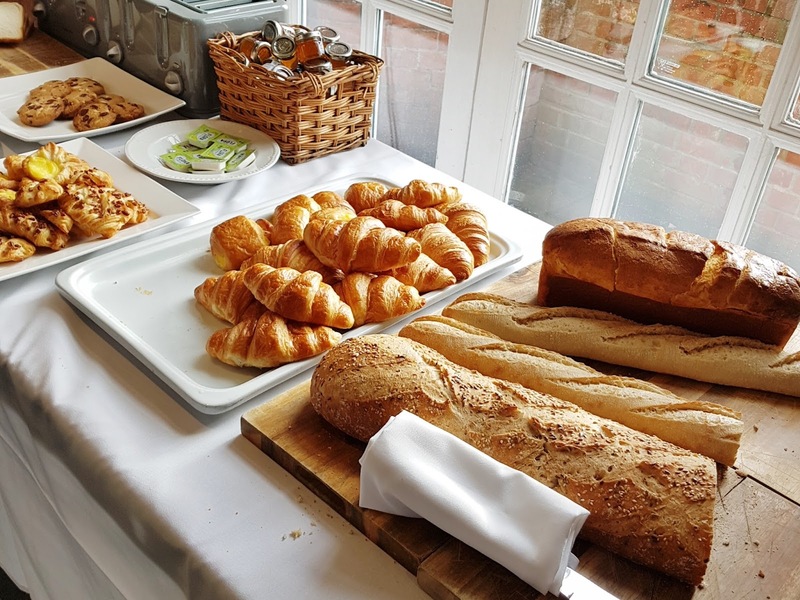 Continental breakfast is included in the room rate but you can pay an additional £5 for a hot breakfast too. 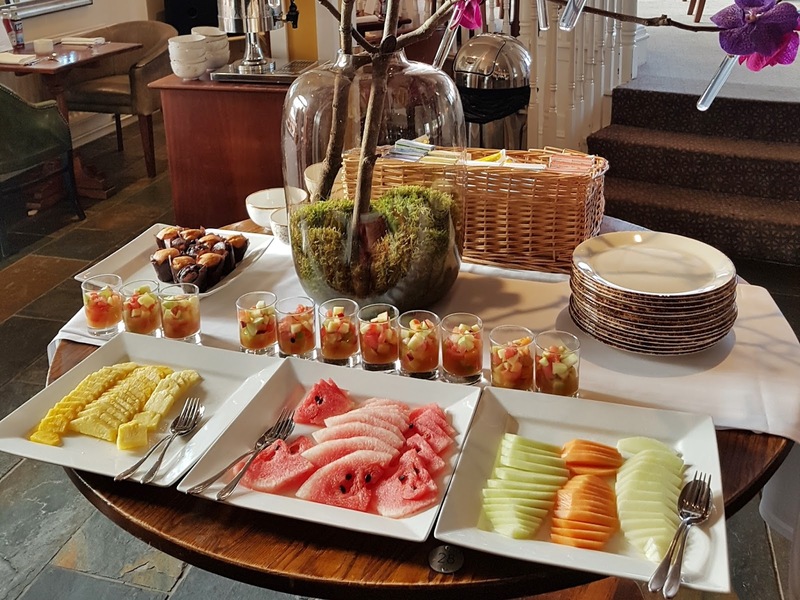 The continental breakfast was lovely and included fresh bread, porridge, yoghurt, pastries, fruit, muffins and toast. But as the cooked breakfast seemed such good value we decided to treat ourselves. in the end the full English won and I don’t regret it at all! 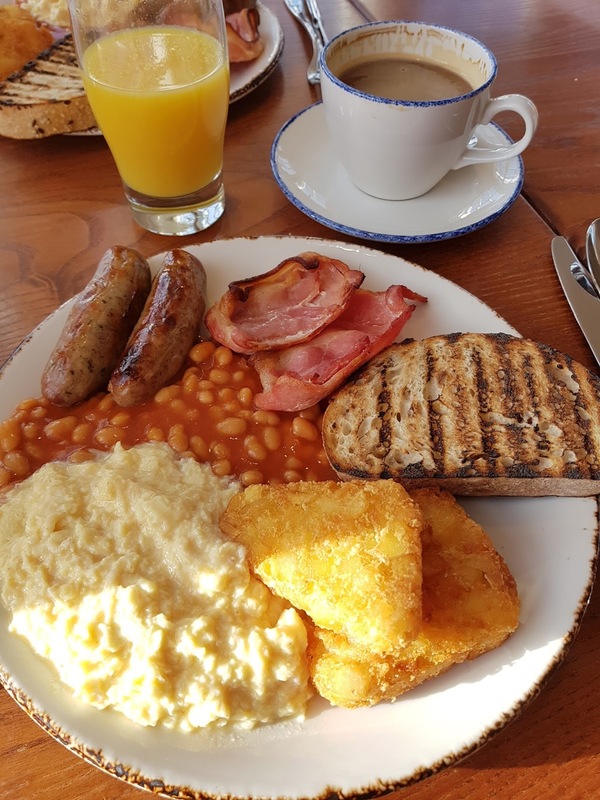 The full English came with free range eggs, maple cured back bacon, sausage, hash browns, and a side of chargrilled sourdough toast. Overall it was a lovely breakfast but my only comment is that I opted for scrambled eggs but it was extremely runny. But it was a lovely big portion and perfect to set you up for the day. Other options available included avocado on toast, eggs Benedict, blueberry pancakes, or omelette. After our big breakfast it was time to check out of the hotel, and we decided to drive into Richmond before going home. 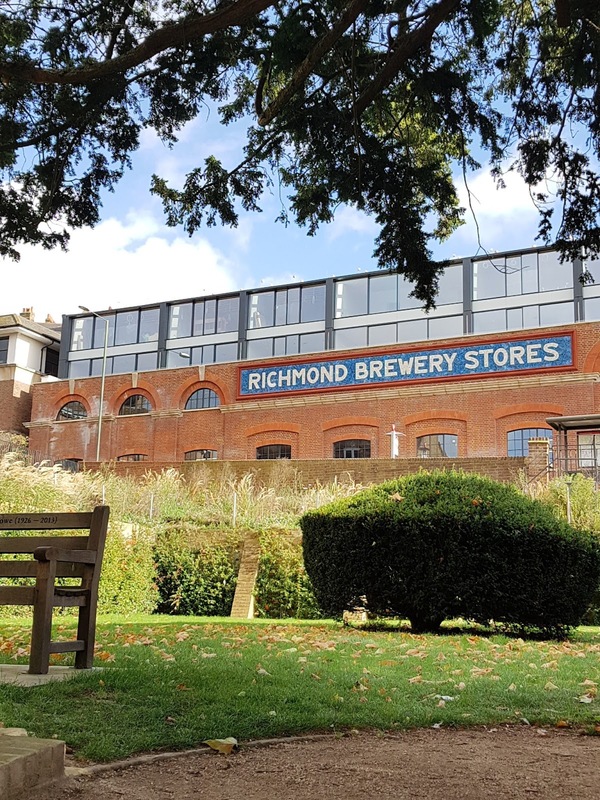 Richmond is only a fifteen minute drive away so we thought we’d pay it a visit whilst we were in the area. It’s a charming town just like Kingston, but on a smaller scale. Again it is located on the Thames so there are lots of beautiful views and photo opportunities, and plenty of cute shops to browse too. We stopped off at Hummingbird Bakery before we left for a quick cupcake and hot chocolate break. Yum! Overall we had a brilliant little weekend away and it’s made us want to explore more of Surrey! It’s amazing sometimes the lovely places you can find in the UK almost on your doorstep. There’s so many beautiful towns to visit within an hour or so drive away, I’ve been really inspired to explore the more of the UK more often! 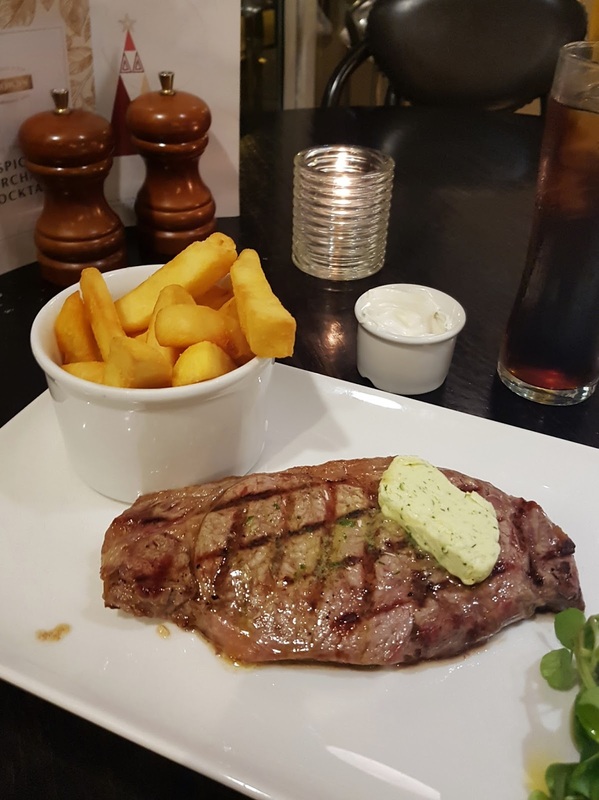 I would recommend The Mitre Hotel if you’re visiting Hampton Court or the local area as you really couldn’t stay anywhere closer! 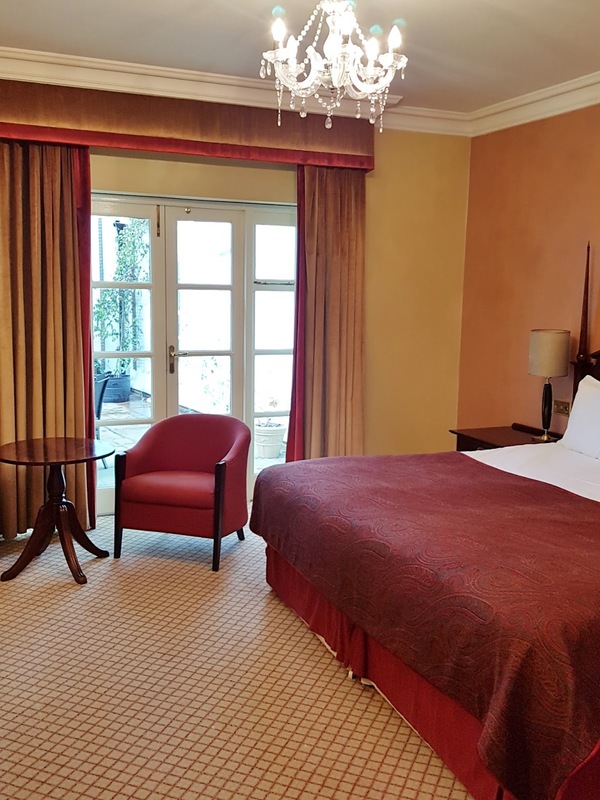 It’s a wonderful hotel with very helpful staff and I can imagine that with a bit of a refurb it will appeal to those that prefer a more contemporary style too. Previous Post Life After Graduating & My New Job!